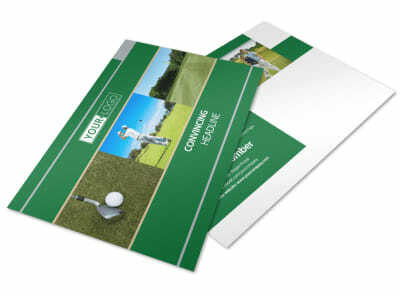 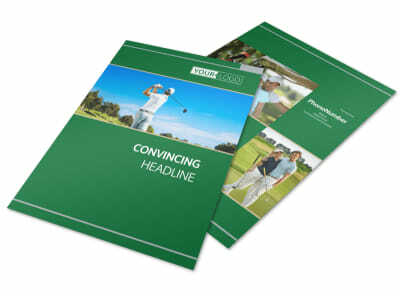 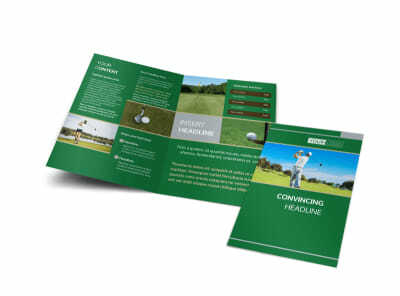 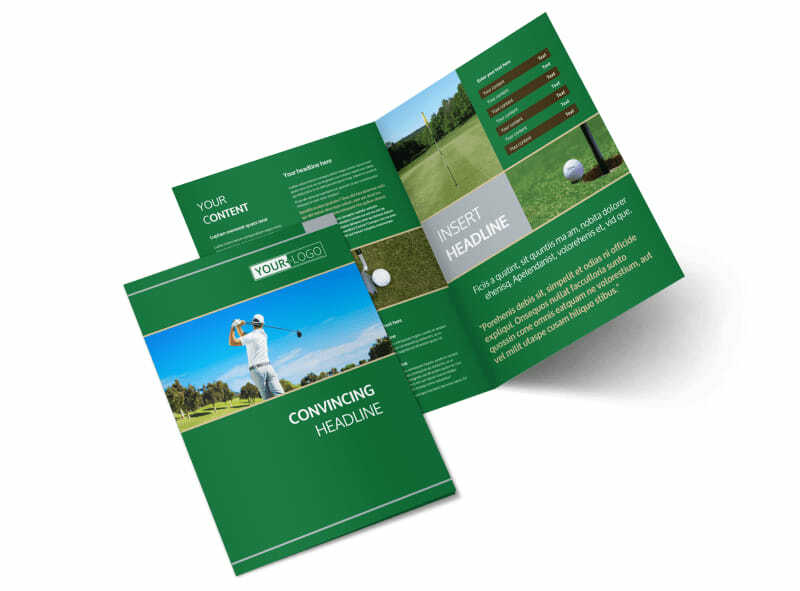 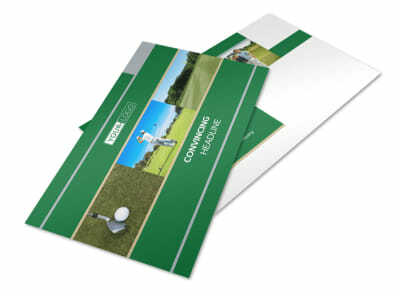 Customize our Perfect Swing Golf Tournament Brochure Template and more! 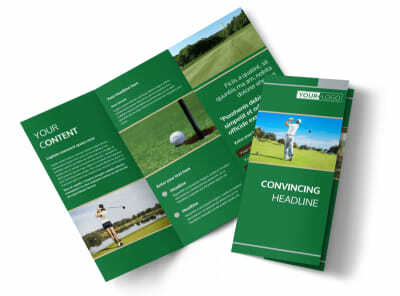 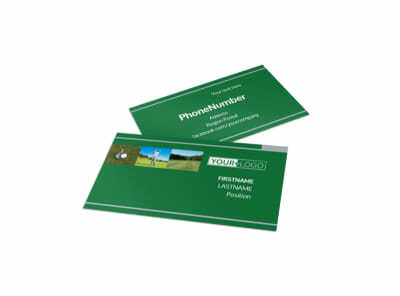 Inform attendees of the big golf tournament about the golfers who will be teeing off on your fairways with perfect swing golf tournament brochures. 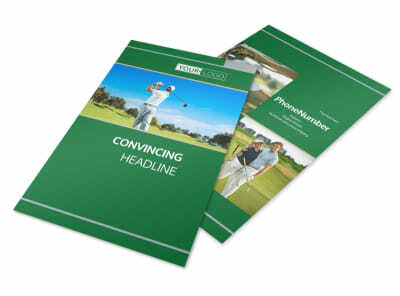 Use our online editor to customize a bifold or trifold template with images of your golf course as well as the golfers who will be competing, add details about the tournament, choose a color theme, and more. 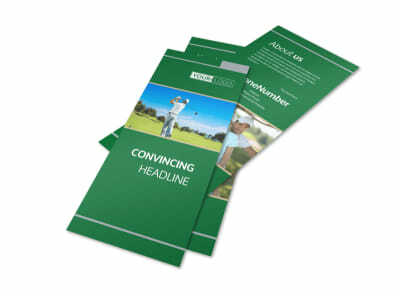 Start designing your informative brochure today.